A small crowd of supporters of Zimbabwe’s ruling party has marched for peace in the capital, a day after the opposition rallied thousands to demand electoral reforms. Zimbabwe holds presidential elections on July 30. It will be the first vote without the participation of former leader Robert Mugabe since independence from white minority rule in 1980. 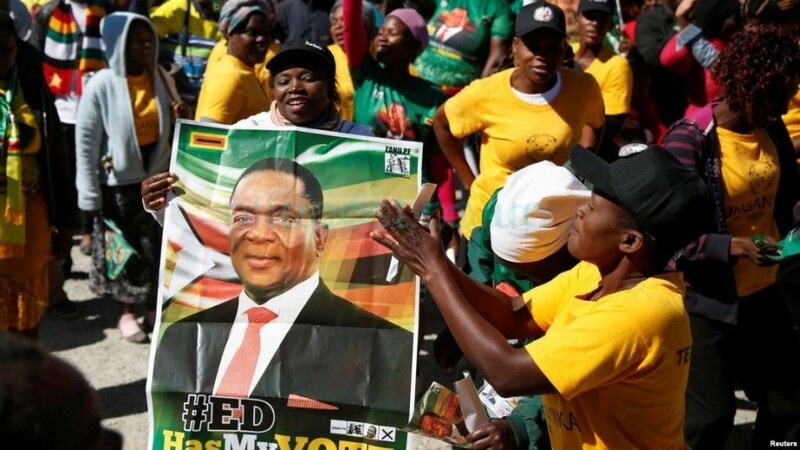 The ZANU-PF ruling party, which has been accused of using violence and fraud in previous elections, called the march a departure from the past. President Emmerson Mnangagwa has invited Western countries to observe the election for the first time in nearly two decades. Speakers on Wednesday criticized 40-year-old opposition leader Nelson Chamisa, who has energized the MDC-T party and has been endorsed by an opposition party backed by Mugabe.